A beautiful facade, who loves you like intact. After all, with good technical and aesthetic maintenance prevents you damage, retains the facade its value and – also not insignificant – do you meet the maintenance obligation of the guarantee. That is why TGM all knowledge and expertise to your façade to maintain good and durable. 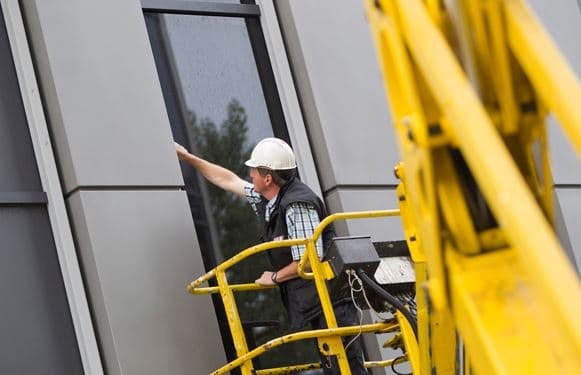 Maintenance goes beyond the professional cleaning glass and profiles; also the functionality of rotating parts and locks, kitverbindingen and architectural connections by our VCA-certified mechanics checked and repaired. Should there by storm, burglary or breakage yet damage to your wall, you can reach us 24 hours a day. We are rapidly on site to a solution.